A brush and water container in one! 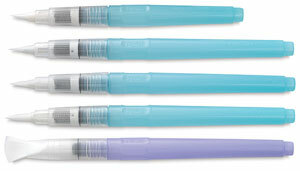 Great for watercoloring, rubber stamping, sketching and more. The small, medium, large, and flat brushes all hold 7 ml of water, and the mini holds 5½ ml of water. Squeeze or fill the water reservoir, screw on the brush tip, and you're ready to go! 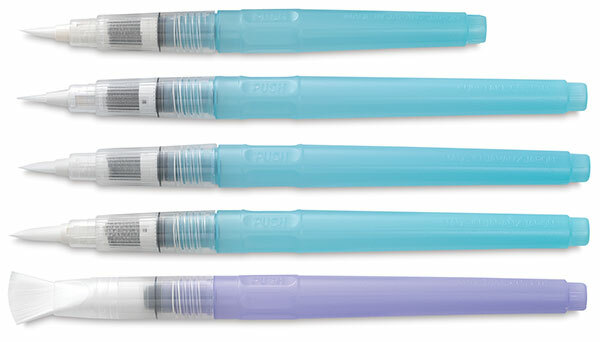 Squeeze the Niji Waterbrush gently to wet the brush and keep it moist, which eliminates continually dipping your brush. This brush is great for travel.